Joiner objects to Biology because it presents Darwin’s Theory of Evolution in factual manner. Joan Hoffpauir objects to Elevate Science because it does not address other theories of life in addition to Darwin’s Theory of Evolution. The hearing officer has now submitted his summary and recommendation to the school board. And it’s not looking good for the textbook protesters. Here’s the hearing officer’s thorough shredding of their arguments. 23. Guidance regarding the matter in question is provided by the United States Supreme Court in Epperson v. Arkansas, 393 U.S. 97, 89 (1968), in which the court struck down Arkansas’s prohibition against the teaching of evolution and Edwards v. Aquillard, 482 U.S. 578 (1987), which holds that the teaching of creation science violates the “Establishment Clause” of the First Amendment to the U.S. Constitution as discussed and explained by the court in Kitzmiller v. Dover Area School District, 400 F. Supp. 2d 707 (M.D. Penn. 2005). 24. Kitzmiller involved issues much like the issues presented by this matter, although the roles were reversed. Suit was filed by plaintiffs challenging the decision of the District School Board permitting instruction of the doctrine of Intelligent Design in addition to the state mandate that required that students learn about Darwin’s Theory of Evolution and ultimately take a standardized test of which evolution is a part. Students will be made aware of gaps/problems in Darwin’s theory and of other theories of evolution including, but not limited to, intelligent design. Note: Origin of life is not taught. 26. The resolution of the District School Board, with one exception, mirrors the substance of the presentations of Joiner and Robinson. The exception is that they did not identify their cumulative objections as creationism, creation science, or intelligent design. 27. As pointed out in Kitzmiller, at page 711, the utilization of scientific sounding language as advocating the teaching of alternative theories of the origin of human life to Darwin’s Theory of Evolution offends the “Establishment Clause” of the First Amendment to the U.S. Constitution because the alternatives are religious in nature, e.g. intelligent design or creation science. 28. The Kitzmiller court, at page 765, concluded that although Darwin’s Theory of Evolution is imperfect the fact that a scientific theory cannot yet render an explanation on every point does not support an alternate theory that is expressed in scientific sounding language as advocated by Robinson and Joiner and that the courts recognize as being contrary to the “Establishment Clause” of the First Amendment to the U.S. Constitution. 30. 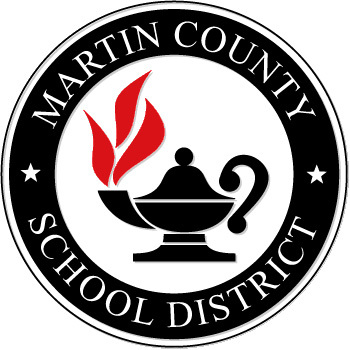 By reason of administrative deference, the Martin County School Board is obligated to adhere to the science standards established by the Florida Department of Education regardless of the text book(s) that it might adopt. In the instant matter it is noted that the School Board adopted two textbooks, Elevate Science by Miller, Padilla,Wysession and Biology by Miller and Levine from the list of Florida Department of Education adopted science textbooks. Pursuant to the rule of deference, the School Board must presume that these textbooks comply with the science standards for seventh grade science and high school biology promulgated by the Florida Department of Education/State Board of Education. Based on the foregoing Discussion of Presentations and Conclusions of Law, it is RECOMMENDED that a final order be entered upholding the adoption of Elevate Science by Miller, Padilla, Wysession and Biology by Miller and Levine. The school board was scheduled to consider this recommendation at its June 5 meeting. I don’t know what the final result was. The meeting video and/or documentation is not available anywhere online that I know of yet. I’ll report back once I find something out. Here is the full report from the hearing officer in pdf: Recommended Order – Instructional Material- 05-23-2018 – Julian. Sounds like the Martin County School Board brought in a real pro – this would turn out very differently with a “hearing officer” from the volunteers of that other state citizens’ group so concerned with these issues. Don’t school boards have a right, arguably an obligation, to point out compliance problems if they find any?